International Bar is the oldest foreigner bar in Fukuoka. Friendly English speaking staff and a laid back atmosphere! When and what time is good to meet people? My name is Brandt. I believe my friend Alice messaged you in Japanese yesterday. I am an American and have just graduated from University in the United States and plan to move to Fukuoka at the end of August. I am curious to know if you have any open positions at the International Bar. I have experience in the service industry and would be happy to send along my resume. I look forward to hearing back from you soon. You are lovely and I enjoyed meeting you. Your move my lady. Hi, I visited you 2nd July at my biz trip from Tokyo. Good time with the crocodile game. Will visit on 24th, see you. I just ran across your website and it brought back memories. I used to frequent the bar during my time in Fukuoka (1994-2000)....and I even worked there part-time for a short time in 1997. So glad to see it's still there! Had a wonderful time, Amita. Haven't been to FIB in ages. It was great! All the people were warm and wonderful. I'll see you again soon. Guys I will come to Fukuoka Tomorrow. Thanks for making our night in Fukuoka great. Sorry about abusing your locals with cutlery!! i was the lad from Manchester who came to the bar on Saturday night. Just like to say i had a great time and thank you for being very hospitable.....the night ended up very messy! Klodian, you should start a facebook group for the bar. One day I shall return! Great Website Ken! Hope I can come to Fukuoka asap. 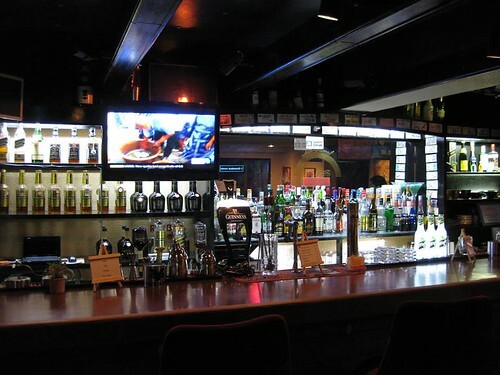 International Bar is the best in Fukuoka! Great! About time International bar had one. great, fun bar! i will visit again soon!